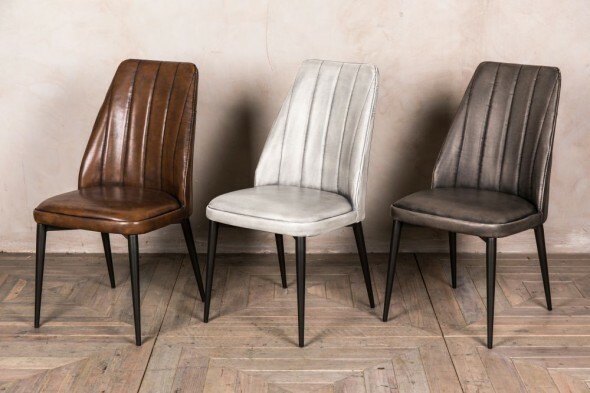 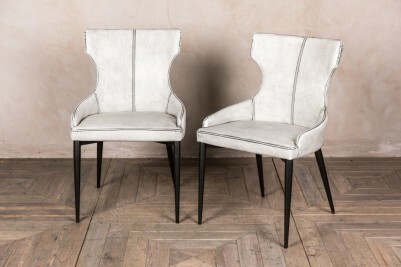 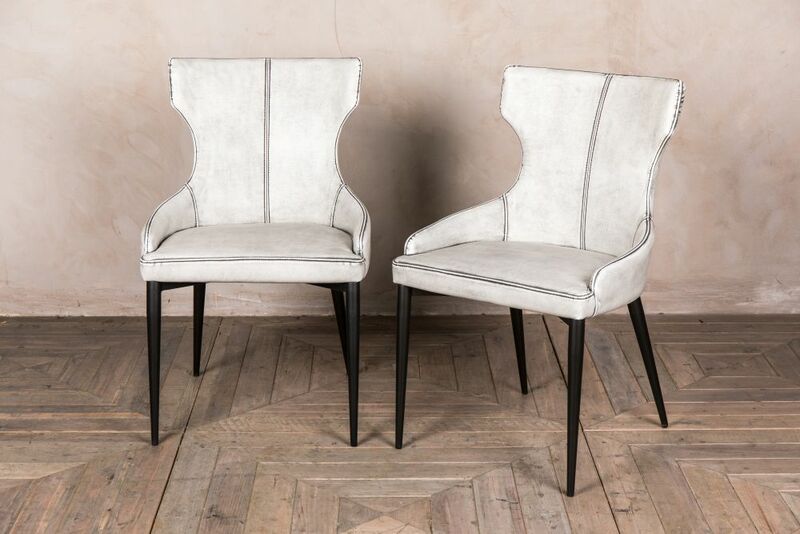 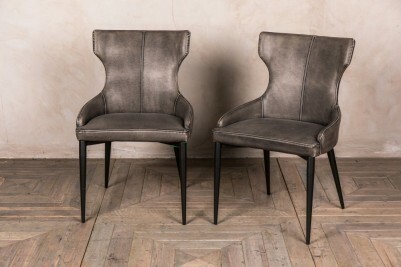 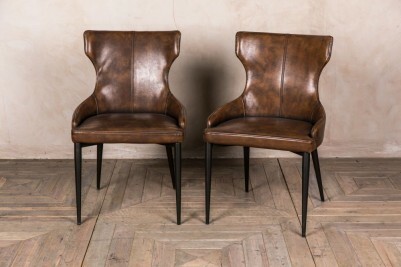 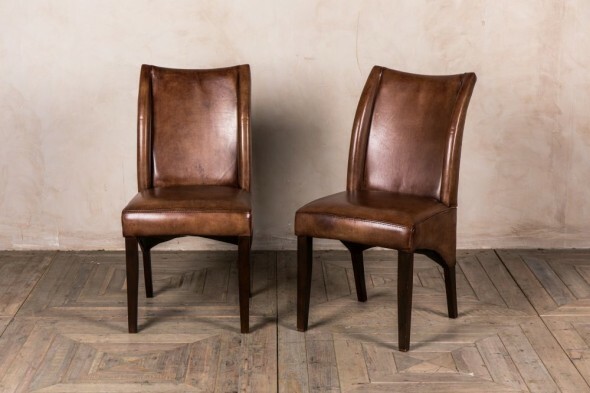 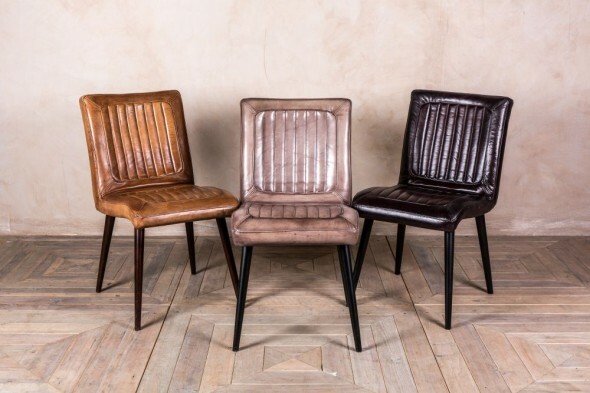 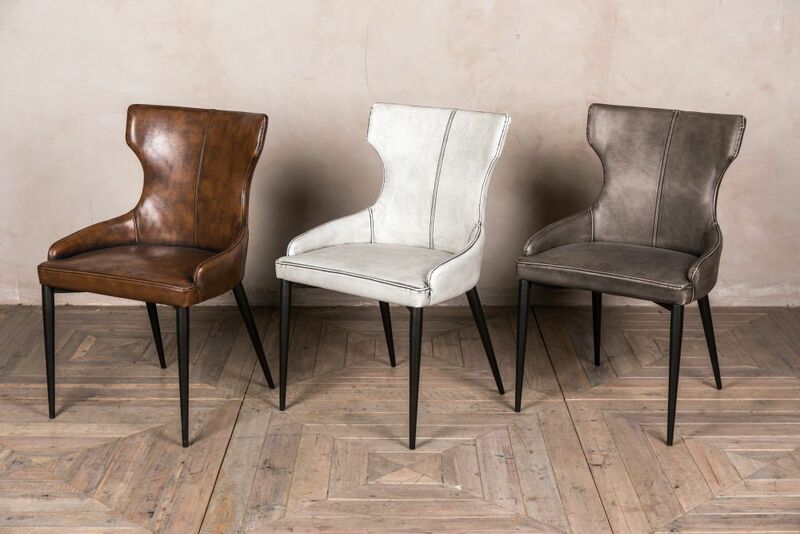 These sophisticated wingback dining chairs are perfect for a vintage inspired interior. 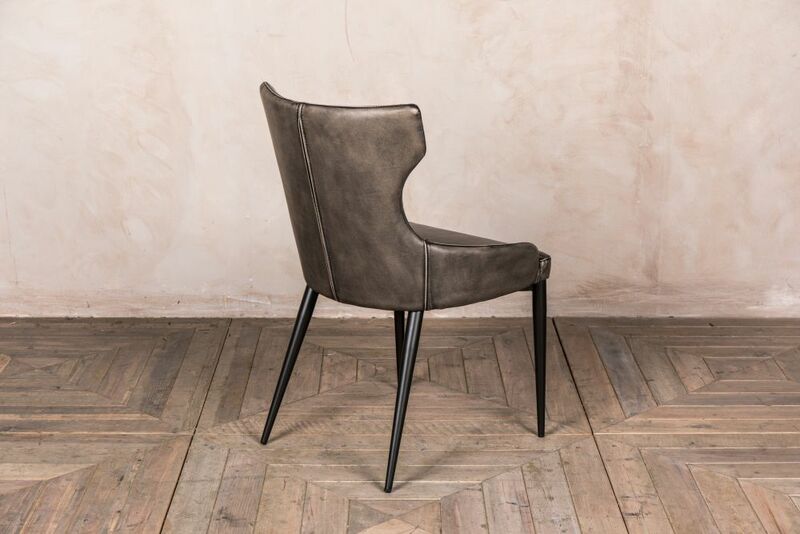 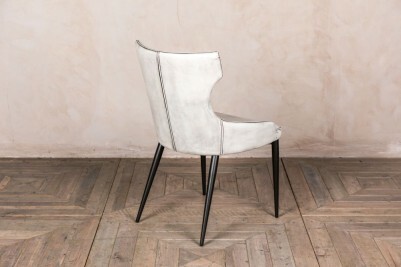 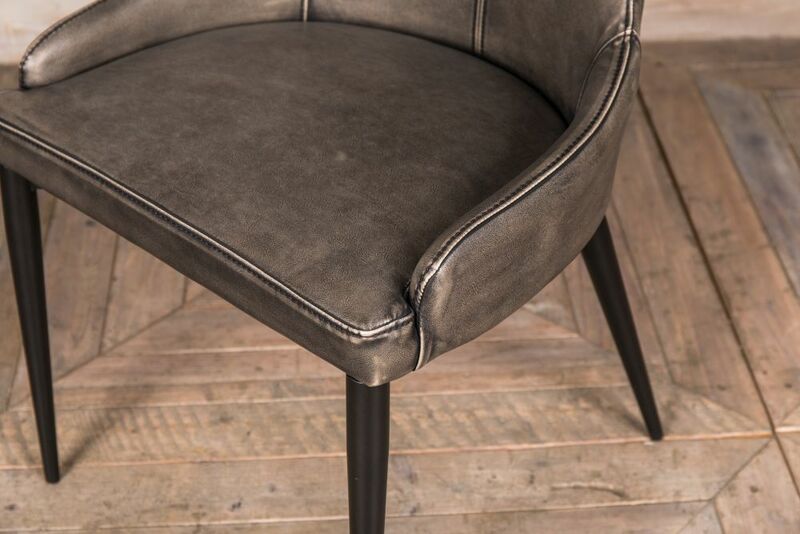 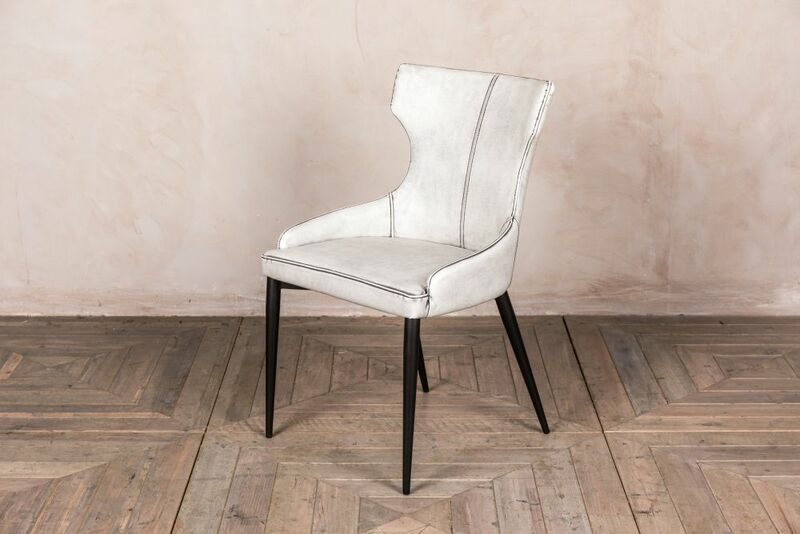 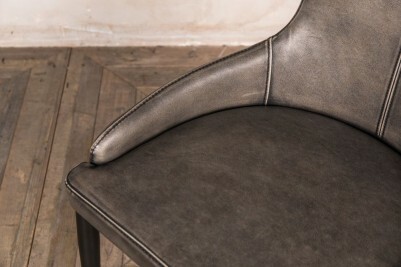 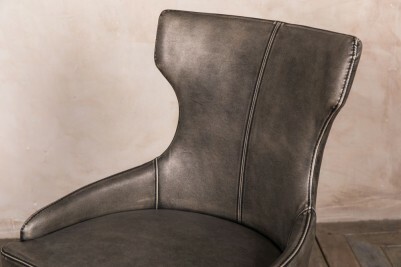 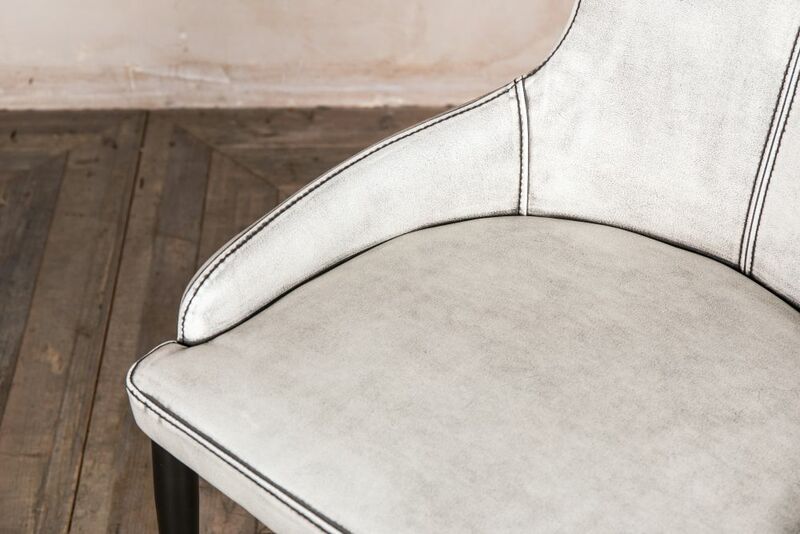 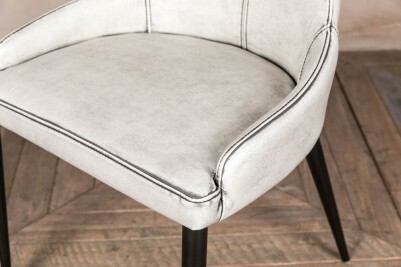 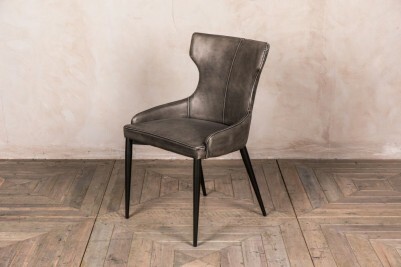 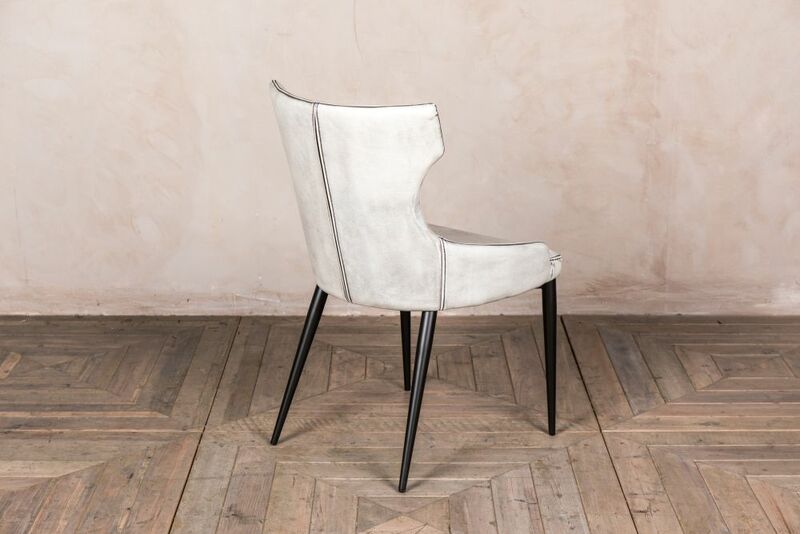 The ‘Admiral’ chair design features simplistic, elegant stitching and black minimalist tapered legs. 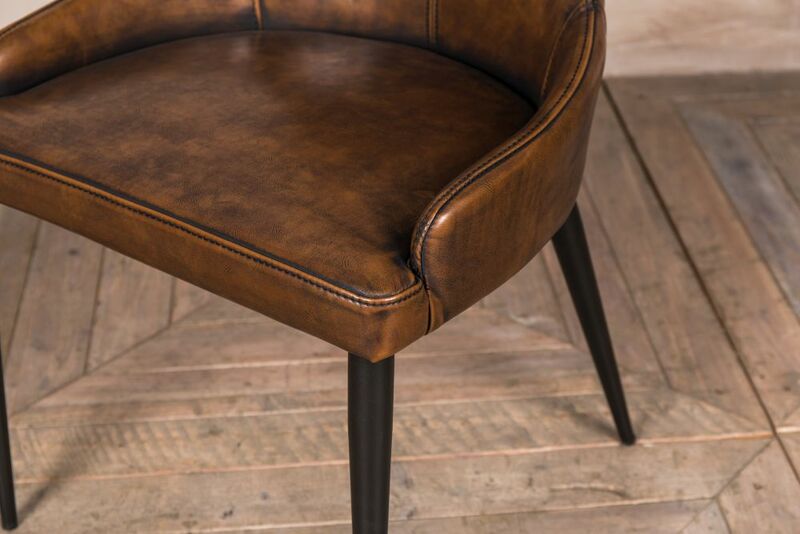 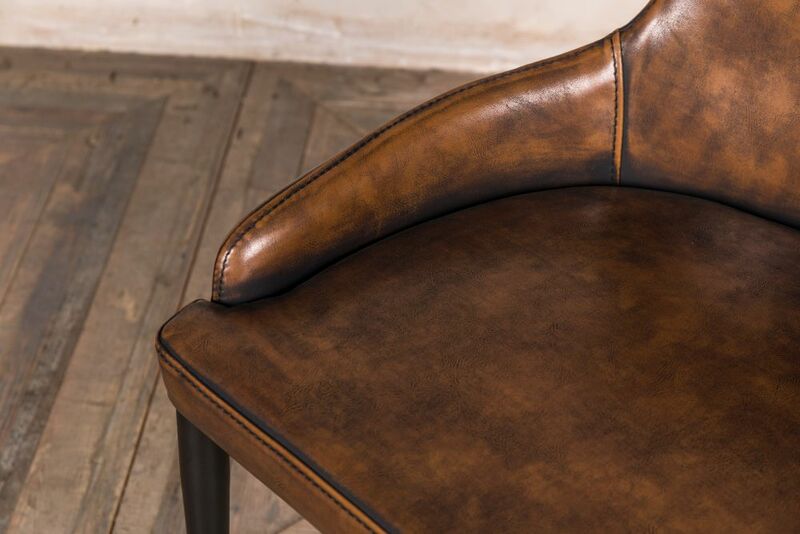 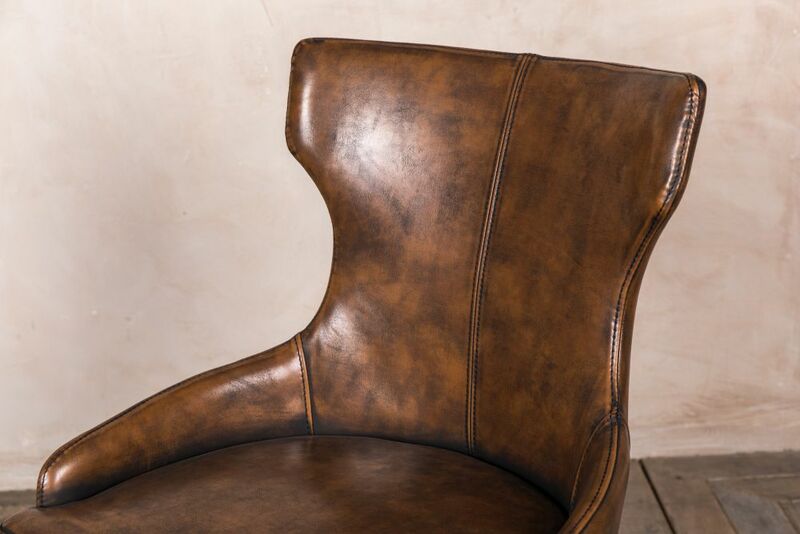 The chair’s distressed finish adds to its vintage style; however, the leather look upholstery would work well in a more contemporary space. 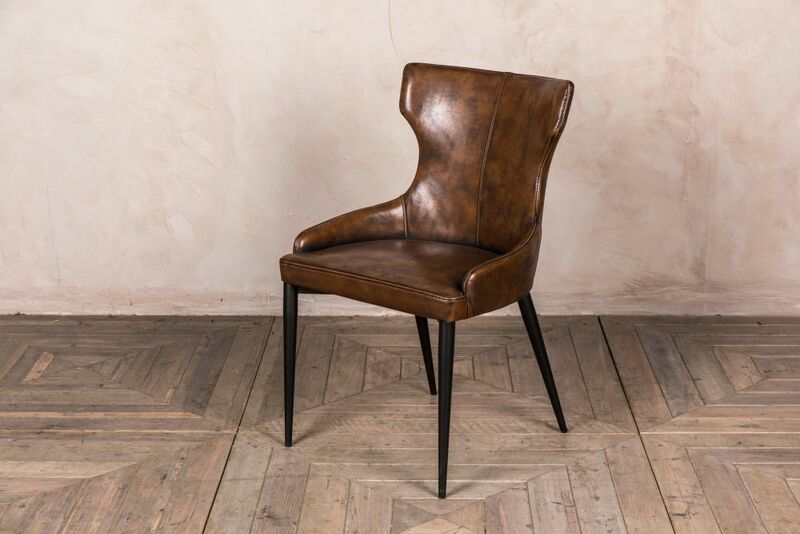 The ‘Admiral’ chair is ideal as a dining chair in a home kitchen or trendy restaurant. The upholstery of these chairs is very easy to clean and is therefore ideal for homes with young children. 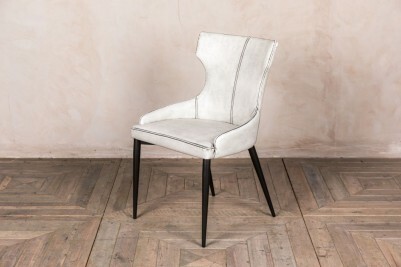 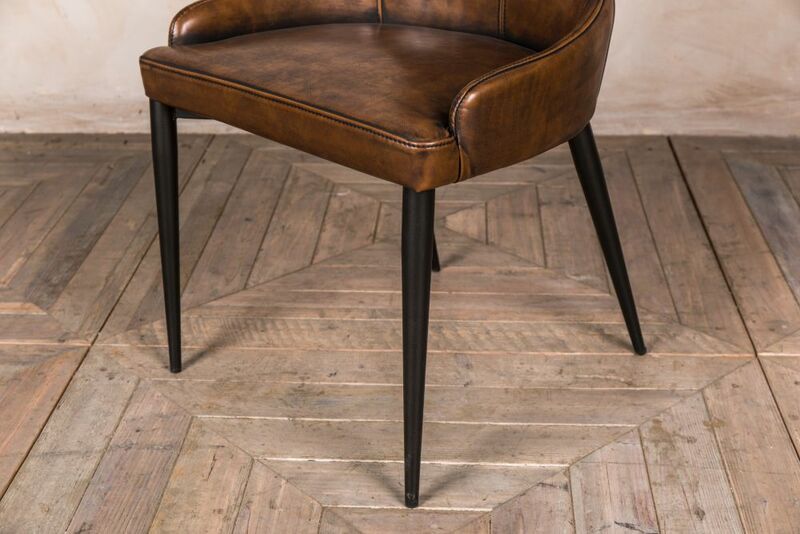 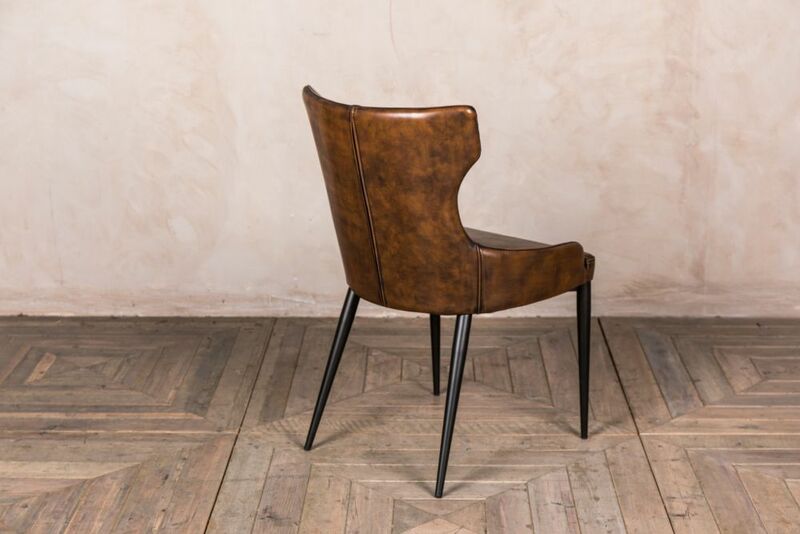 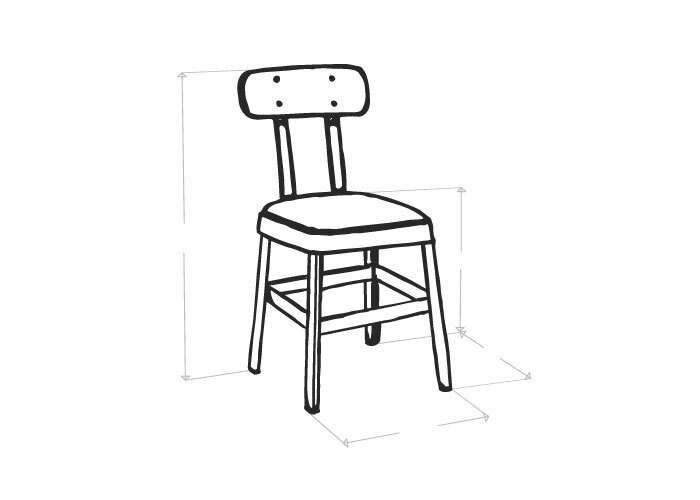 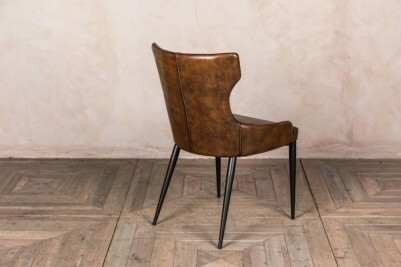 Alternatively, it would make an equally good feature chair in a hallway or bedroom. 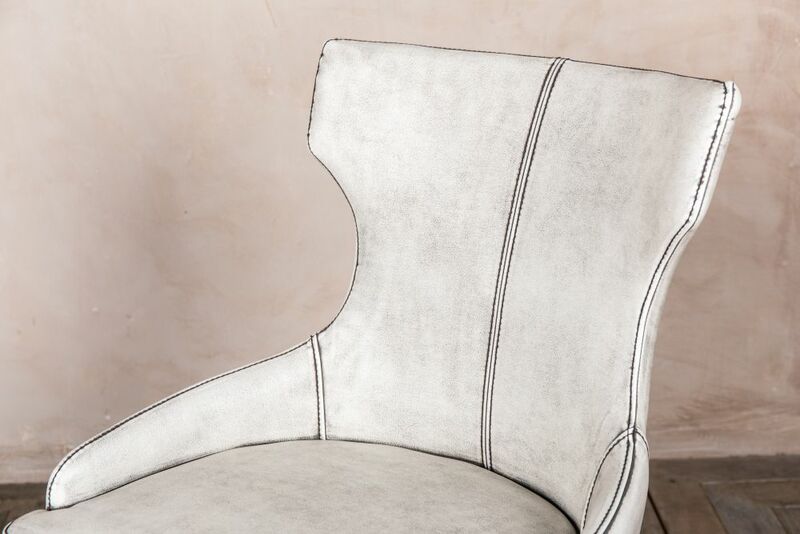 Please note that this listing is for one of the wingback dining chairs only, but more are available to purchase.